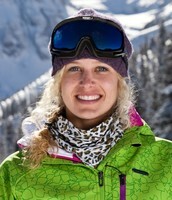 Lindsey Jacobellis started snowboarding at the age of 11. Her hometown is Stratton Mountain, Vermont. 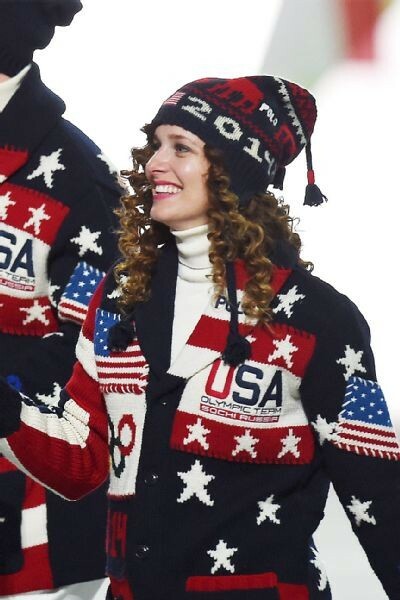 She's been to the 2006, and 2010 Olympics. She has 26 World Cup wins, and 9 X Games medals. Snowboarding is a winter sport, you basically ride slopes in the snow. There is specific equipment you have to wear to go snowboarding. Snowboarding became a Olympic sport in 1994. Snowboarding isn't as easy as it looks, if your thinking about doing it you should get a few lessons from an expert. Lindsey did good through qualification and her quarterfinal heat, and was in first place in her semi-finals. Lindsey didn't get gold like she hoped she would because she lost her balance and crashed. Lindsey Jacobellis recently tweeted that she couldn't wait to get home to her dog. From Lindsey's recent tweets you can tell she's a dog lover. A dog can be a persons best friend. It seems as if Lindsey's dog is hers. Dogs make people happy, and when your away from them for awhile you can miss them a lot. People with dogs get really attached to them easily. There are people that treat their dogs as if they were their child. Dogs are very lovable. That's why a lot of people have them as pets. A snowboard has many different layers to it. The base of the board is the bottom and it is plastic it has edges of steel to help you turn. The next layer is fiber glass which is used for flexibility, there are two layers of this one above and one below. on the top of the upper layer of fiberglass is the layer you stand on its made for protection and graphics. The video below shows a more complex way to make a snowboard. Snowboarding might look very difficult and maybe even scary to some people, but the steps are very simple. The first thing you have to do is strap your feet on the board. When your are at the top of the hill you are snowboarding on get in position. When your ready to go point your feet to the bottom of the hill. Then bend your knees a little then apply pressure to the board. Your board will start moving and will go in the direction your body takes it. Make sure to maintain your balance. The video below shows a little more on how to snowboard. There are three layers of clothing to wear when your going snowboarding. The first layer should be polyester, long underwear pants and a long sleeve shirt will work. The second layer is to keep you from being cold so a sweater or vest should be good. The third layer should be your jacket and snow pants this protects you from the wind and water. The last layer should be your gloves, hat, helmet, and goggles. The video below shows a little more on how to dress when you go snowboarding.